This Heavy Duty Mat connects with the MPPL Pager to monitor the movements of an individual to help prevent wanderings, falls and possible injuries. The Heavy Duty Non-Slip Floor Mat works alongside the MPPL Pager or comes as a kit. See below for more information. To help prevent vulnerable people from wandering, floor mats are often used as a way of detecting their movement. 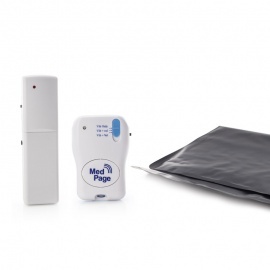 Positioned alongside the bed, the mat detects when a person moves from the bed and sends an alert. An easy way of monitoring your loved ones is the use of the Floor Mat and Pager Kit but you might find you need more than one mat. Even if it is just to position it on the other side of the bed. With the Heavy Duty Non-Slip Floor Mat with Transmitter for the MPPL Pager, up to eight additional mats can be connected to the pager so you can keep track of movement in different parts of the house at the same time if needed. The floor mat has a range of uses, from a bed leaving monitor to a floor sensor – the mat detects when pressure is placed on it and alerts a carer. This is due to the thin sensors embedded in the mat that connect under pressure and sound an alarm. The signal is then sent to the pager, which alerts the carer to this pressure. The alarm sounded when the pressure is placed on the mat saves time, as the carer can react before another step has been taken. 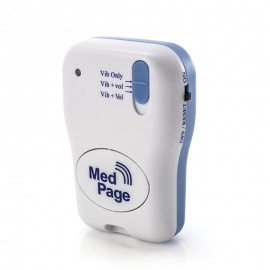 The floor mat can be used with the MPPL Pager. Individual alarms can sound if two mats are connected, but nurse-call systems can be wired in if multiple mats are needed. While the alarm will still sound, there is no identification of where the alarm is coming from. Suitable to be positioned on either tiles or carpet, the mat is ideal for anywhere in the house. Due to the non-slip nature of the mat, it does not need to be concealed under a rug for safety, but caution should be taken in regards to trip hazards. The heavy duty nature of the mat ensures it is durable and long-lasting. The mat measures 48" x 24". Please note that this set includes the mat and transmitter only, a pager is necessary to make up the full kit. The Heavy Duty Non-Slip Mat with Transmitter and Pager has everything required to help prevent falls and wanderings from occurring. Suitable for either tiles or carpet. 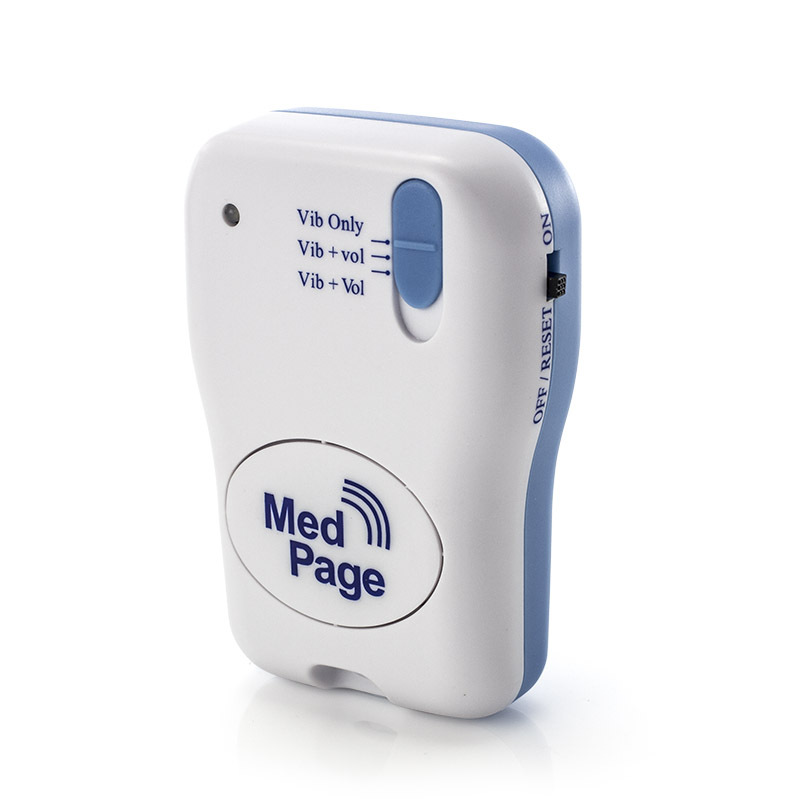 An additional pager for the Medpage MPPL system, the Additional MPPL Alarm Pager has a range of 100 metres, and up to 8 transmitters can be connected to one pager.